This takes a little effort but, trust me, it's worth it! Serve as a starter or at a party. 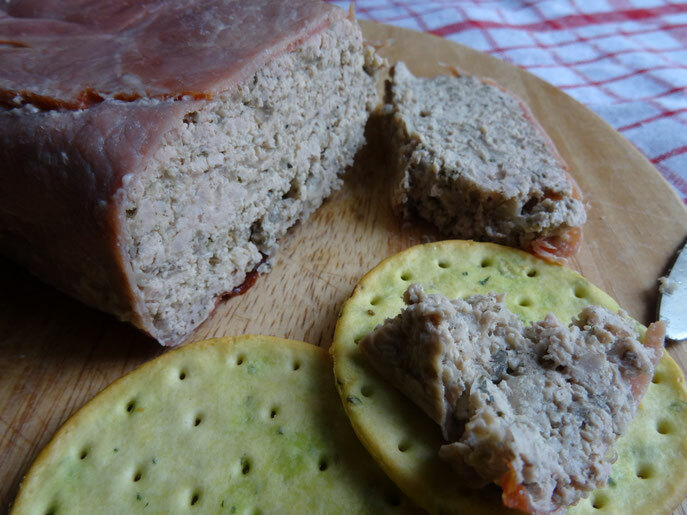 Delicious on toast or crackers. 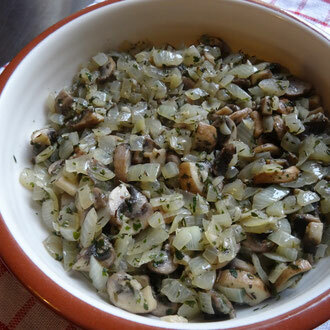 Cook the onion & mushrooms in a little butter & oil for 5 minutes then add the garlic & herbs. 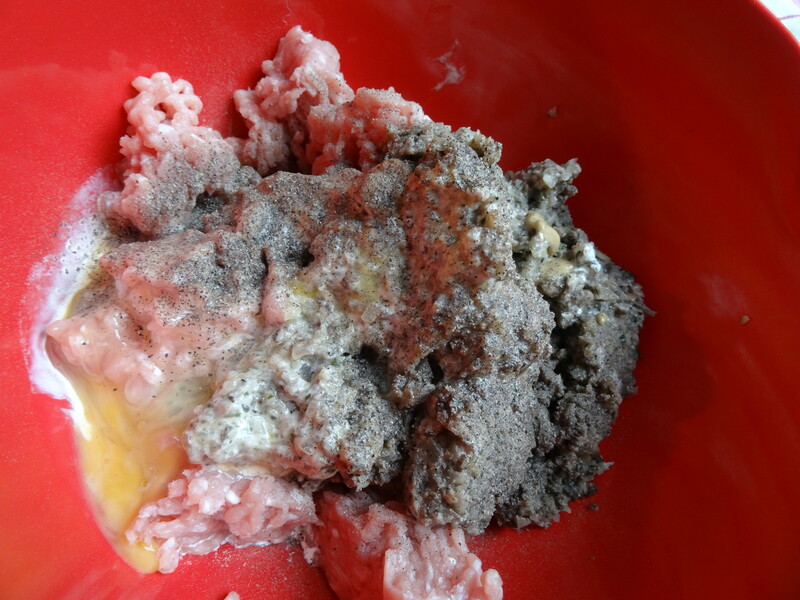 Cook until soft but not browned. Allow to cool. Meanwhile pre-heat the oven to 130Fan/150C/Gas2. 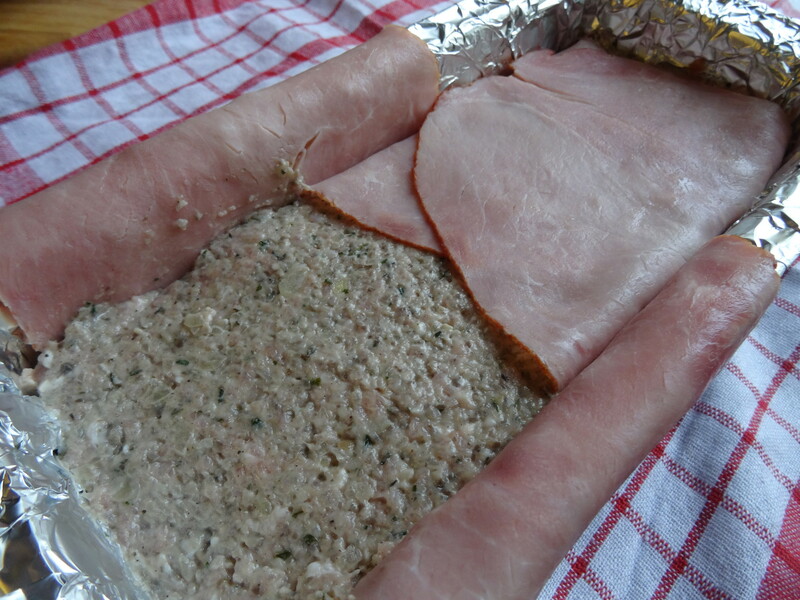 Line a 2lb loaf tin with foil then the ham slices allowing them to overlap in the bottom. 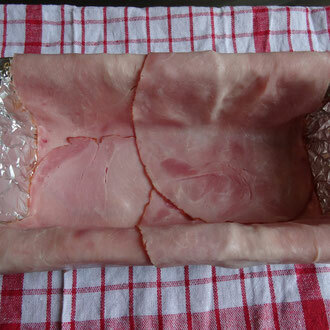 The ham should hang over the sides of the tin. 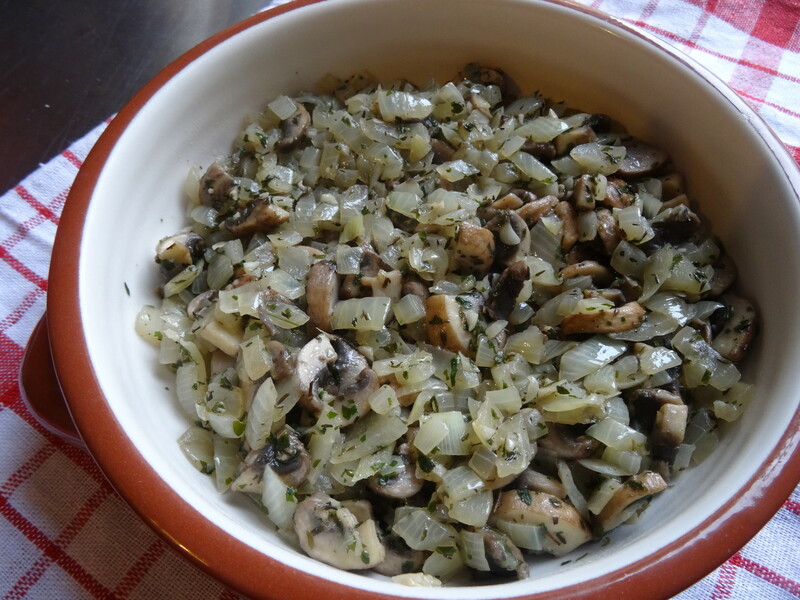 Once the onion & mushrooms have cooled place them in a food processor & blitz. 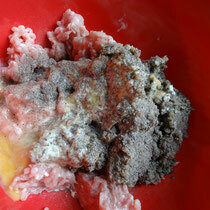 If you don't have a food processor just chop as finely as you can with a sharp knife. 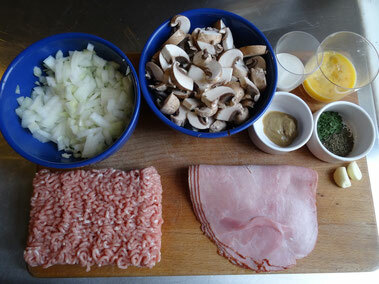 Put the pork mince into a large mixing bowl along with the onion & mushroom, the beaten egg, the cream, mustard & some salt & pepper. 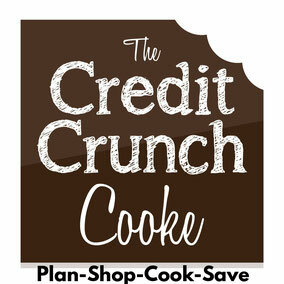 Mix together thoroughly with a wooden spoon. 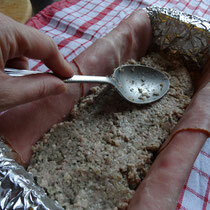 Spoon the mixture into the prepared tin pressing down as you go so that there are no gaps. 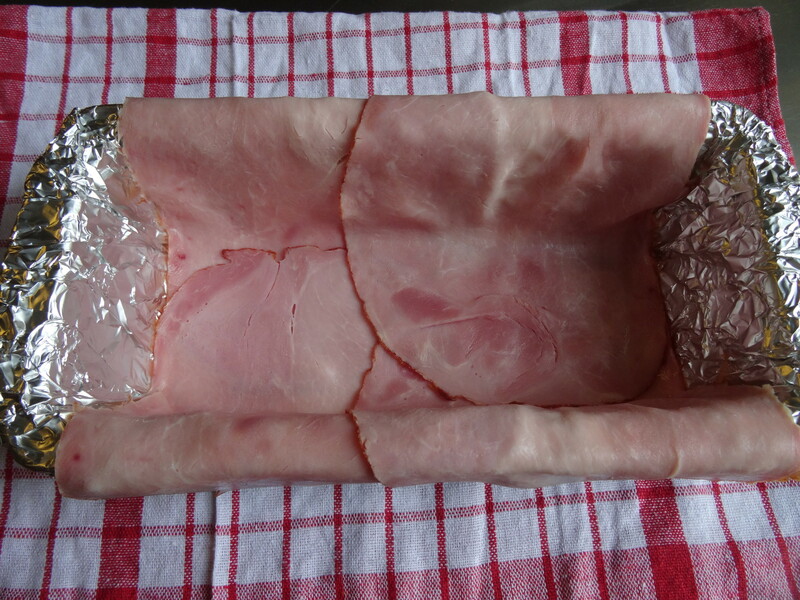 Fold the extra flaps of ham over the top. Put some more foil over the tin & place in the oven for about 1hour 20 minutes taking the foil off for the last 20 minutes. Remove from the oven & allow to cool. 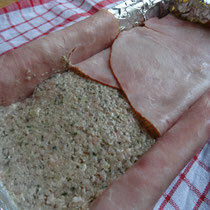 Once cooled place a chopping board or plate on the tin & flip it over. Carefully remove the tin & foil. 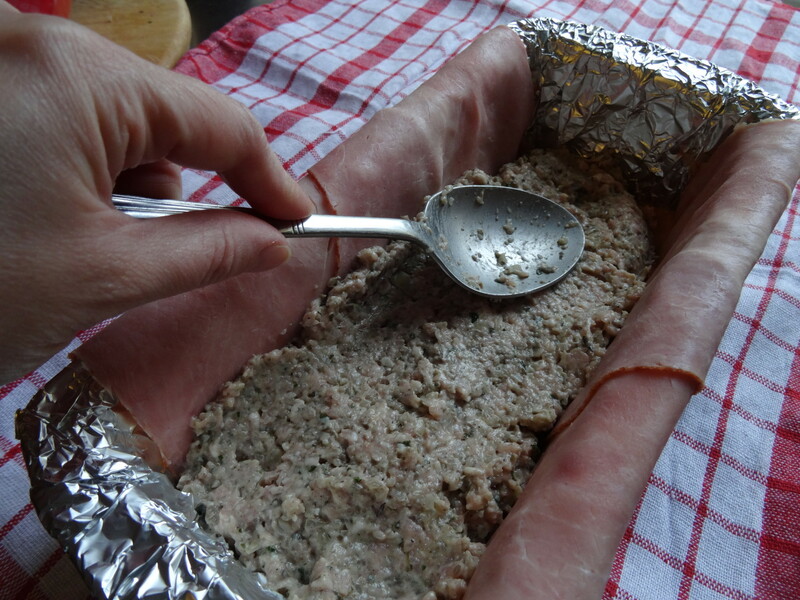 Allow the pate to cool completely then wrap in foil & chill in the fridge until ready to eat!